Greetings crafty friends, here is my next entry for the Spring Coffee Lovers Blog Hop. I was at Joann's one day and just happened to see a wood block stamp and new I had to have it. I knew the hop was coming soon as this would be perfect. 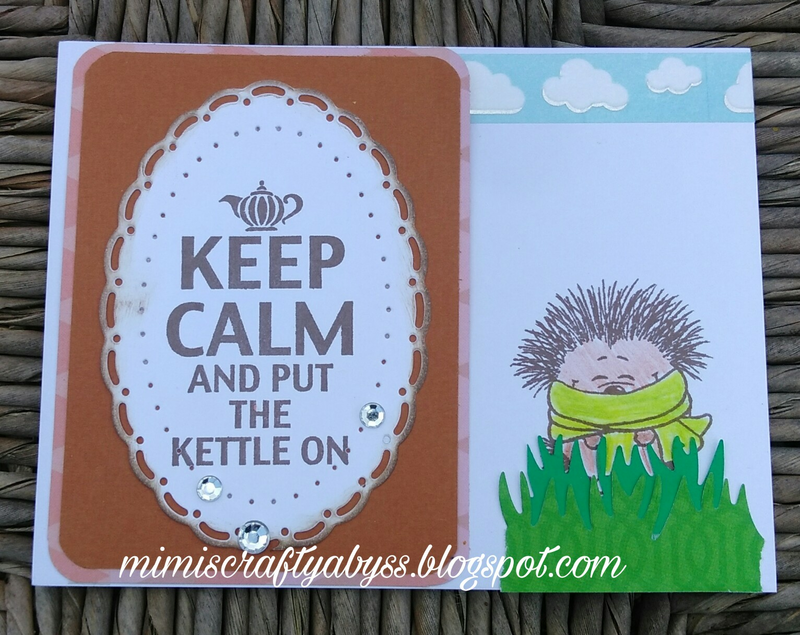 I then went back to the house and ordered the Gerda Steiner Designs Coffee Hedgehog to team up with it from Kat Scrappiness. What an adorable hedgehog and a super cute card. P.S. I'd love to have you stop by Word Art Wednesday to play along with us there as well. Our challenges are always Anything Goes/Family Friendly and we have awesome prizes too. I hope you will play along. So adorable with all layers! Super cute, love that sentiment and the hedgie! Love that sentiment and the critter is so cute! Love this.. He is so cute! This is so cute! Love that oval die cut - so pretty!